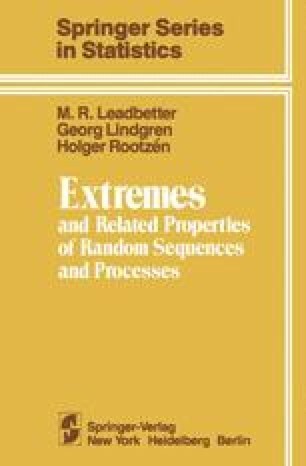 This chapter is primarily concerned with the central result of classical extreme value theory—the Extremal Types Theorem—which specifies the possible forms for the limiting distribution of maxima in sequences of i.i.d. random variables. In the derivation, the possible limiting distributions are identified with a class having a certain stability property—the so-called max-stable distributions. It is further shown that this class consists precisely of the three families known (loosely) as the three extreme value distributions.